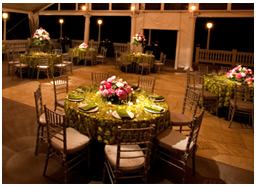 We recognise that our catering services need to be carefully tailored to an event to maximise their impact. 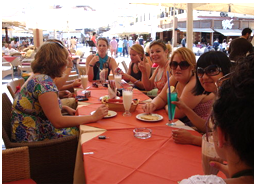 We will take time to understand your business objectives and the outcomes you want your event to achieve. From our past experience we know that you need us to be flexible, efficient, source ethically & act transparently in all our dealings and pricing.We will ensure that we meet or exceed all health and safety requirements. We will make sure we keep you informed at all times and work within your budget, providing great value for money.Whatever your business event, Maharani will be the best choice. 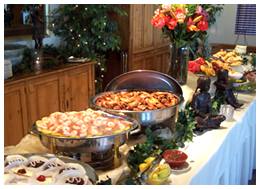 Maharani is a privately owned Catering business which has been in operation for many years. By delivering the highest quality of food complimented by our unrivalled customer service, we have built a reputation as the leading supplier of corporate buffets in Cambridge and the surrounding areas. In doing so, we have managed to expand our business to increase our catchments area to the whole of Cambridgeshire whilst sustaining our core principles which have helped make our customers happy and our business successful. We understand the high pressured environments that our diverse portfolio of clients work under and that’s why we take the stress out of the organising of their food for a particular meeting or event to give them one less thing to worry about!